Edward Bulwer-Lytton's book is ostensibly a work of Science Fiction. 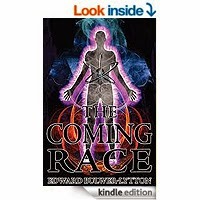 It deals with an underground race of advanced beings, masters of Vril energy - a strange power that can both heal and destroy - who intend to leave their subterranean existence and conquer the world. 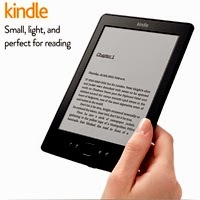 But the book has been seen by many as a barely concealed account of Hidden Wisdom, a theory that has attracted many strange bed-fellows, including the French author Louis Jacolliot, the Polish explorer Ferdinand Ossendowsky, and Adolf Hitler. 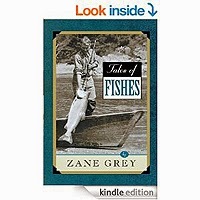 Zane Grey is best known as fishing writer for the wild adventures of catching world record giants in the oceans around the world. He published collections of stories about particular places and species of fish. "Tales of Fishes" is a wonderful collection of stories that range over the most sought after species of salt water fishing-tarpon, bonefish, sailfish, marlin, swordfish, and tuna. It's a perfect sampler to whet the appetite of every armchair angler. One of the longest running story series for children is "The Bobbsey Twins" and it has delighted children and their parents for over a hundred years now. Follow the adventures of two sets of young twins at the turn of the Twentieth Century when there were no telephones, radios, or televisions, and horses and carriages were common-place. When the series begins (1904), Bert and Nan are eight, and Flossie and Freddie are four. 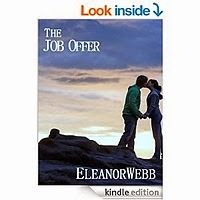 The twins enjoy wonderful days filled with sunshine and love with their playmates, Grace, Nellie, and Charlie, and get into and out of trouble as only little kids can manage. 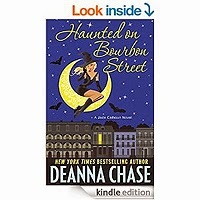 Their dog, Snap, and their cat, Snoop, go along on many of their adventures as the family visits friends and relatives. First, Bert, Nan, Flossie, and Freddie help solve a strange mystery about an old man and his long-lost sons; next Bert and Nan get lost in a blizzard when the family goes to Mr. Bobbsey's new Christmas tree camp; and then Flossie and Freddie get carried away in a balloon when the family goes to a County Fair! 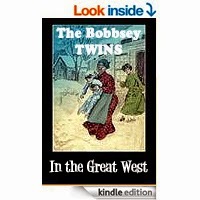 "The Bobbsey Twins in the Great West" was published in 1920.